I should have been finishing the T- shirt I started 2 weeks ago, but I've lost interest! It doesn't look very nice as T-shirt, looks more like part of a cosy pajama set. 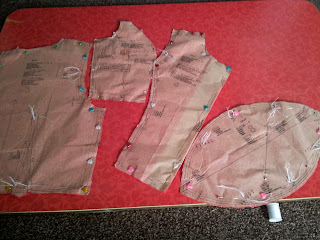 So instead of finishing this, I started a dress for our girls night out on Saturday night. I'm using New Look pattern 6824, the same pattern that I'm using for my college project. 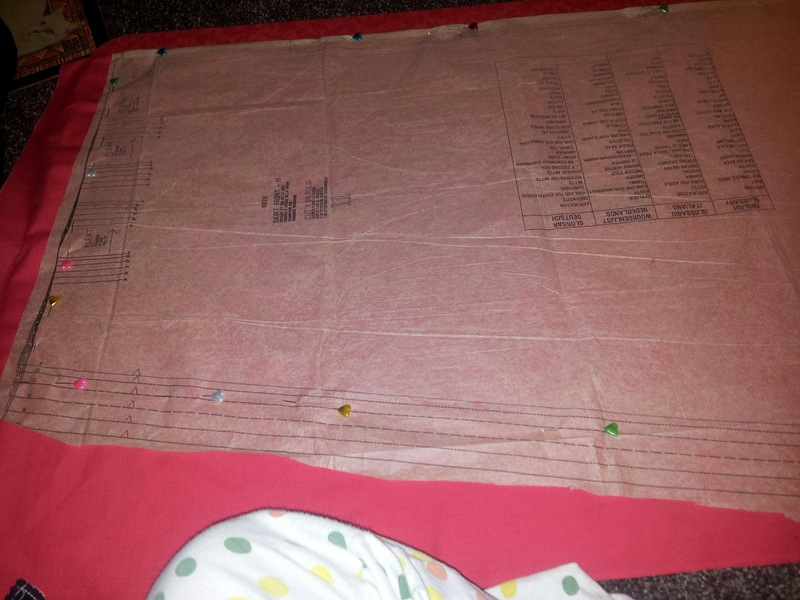 However, this time I'm doing the flared skirt rather than the fitted and I've taken 10 cm off the bottom. 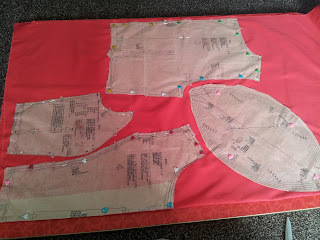 The bodice has princess seams and I've picked the higher neckline design as I don't want to look too tarty with the short skirt. It's also going to have capped sleeves. 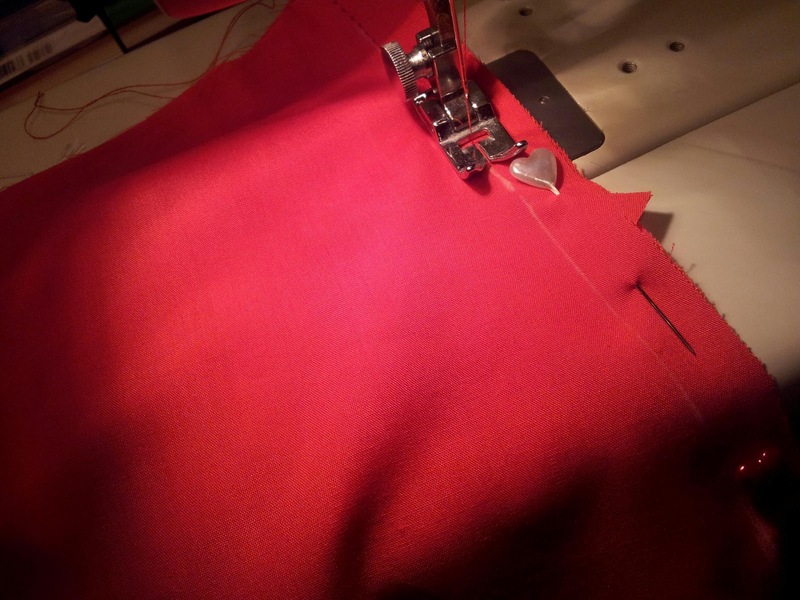 I've decided to try a bright red poly-cotton fabric that a bought from Amazon and I'm lining it with regular anti static lining. I wasn't sure if this would work as it look more like tablecloth fabric! 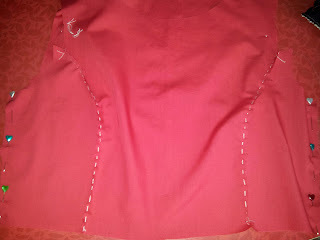 But I have made up the bodice and tried it on, it looks petty cute. Super cute long pins with heart- shaped heads. It's starting to look like a dress!